Is the Nikon D3 next to go? 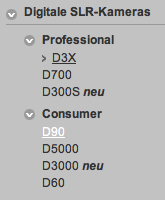 Nikon D3 is back ordered everywhere: Adorama, B&H and even Amazon (only one overpriced reseller). Ritz Camera will no longer be stocking the D3 for their employee purchase program. Along with that camera, the d40 kit, d60 kit, d300 body, and s60 and s560 are no longer available for the employee purchase program. 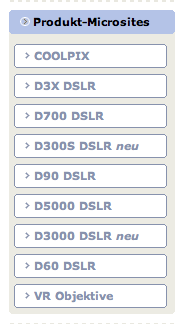 Interestingly enough all of those models, except the D3, are listed as discontinued. Nikon D3 rebate in Romania is now active (500 EUR). The D3 could be the next camera to be discontinued. Best Buy: Nikon D300 discontinued by the manufacturer? This entry was posted in Nikon D4 and tagged to be discontinued.... Bookmark the permalink. Trackbacks are closed, but you can post a comment.